GAHH!!!!! 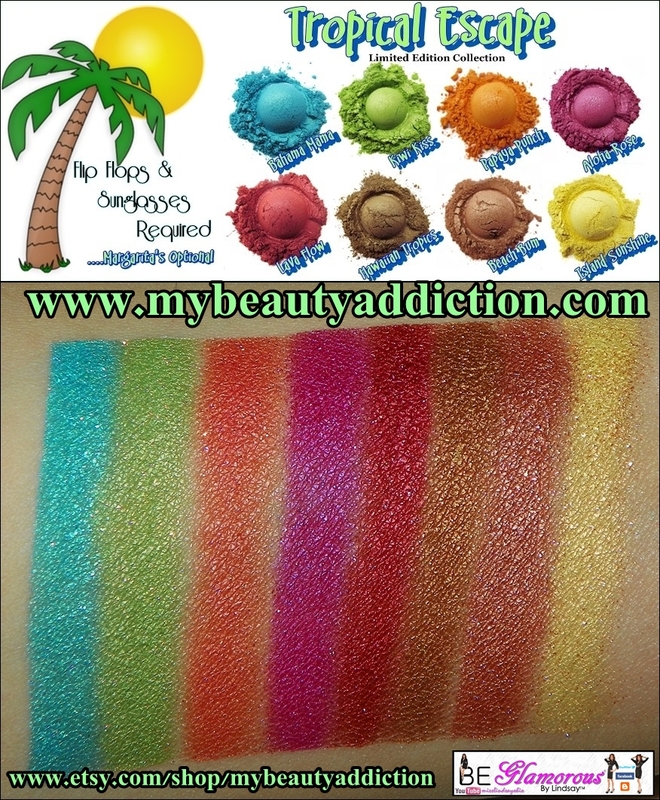 I just recieved the new Limited Edition Tropical Escape Collection from My Beauty Addiction and it is sooo gorgeous!! The shades are perfect for summer and oh so sparkly! This collection was put together with the genius of the creator and operator of My Beauty Addiction combined with the marvelous ideas of the My Beauty Addiction promoters. 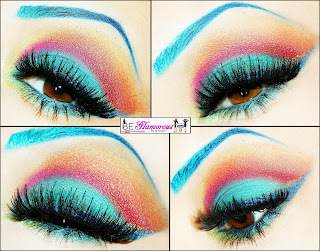 You really will be pleased when you adore your lids with these eyeshadows. 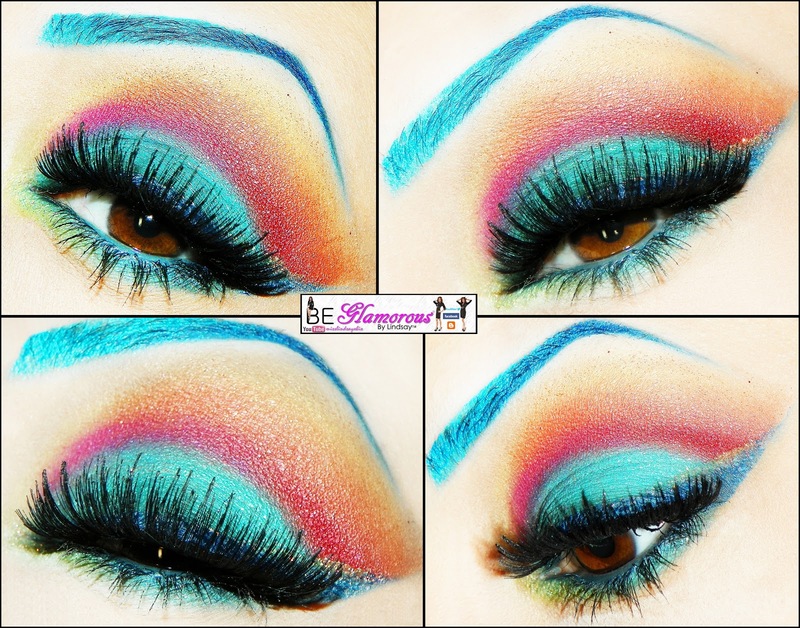 The colors are vibrant and long lasting. Everything you could ever want in a summer eyeshadow collection. They are available online at the following sites as a collection or individuals. I swatched the shadows using the My Beauty Addiction shadow poxy base. I am LOVING this collection!! Many more looks to come!